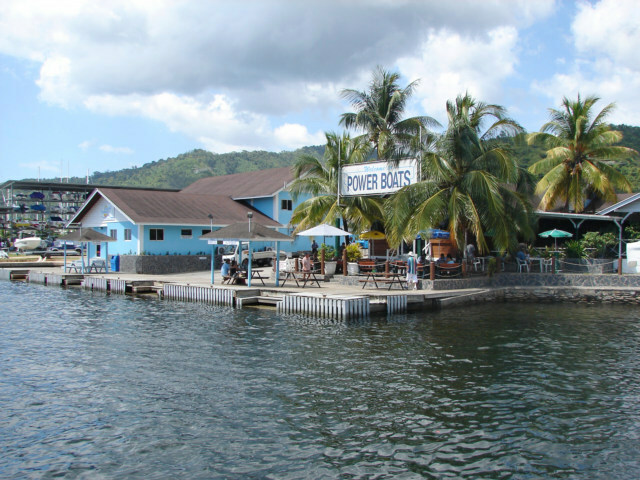 Living on the hook is a phrase I heard in Indiana, I did not hear it in Chaguaramas, however it means in my mind to live on the anchor and come into shore for supplies and entertainment. 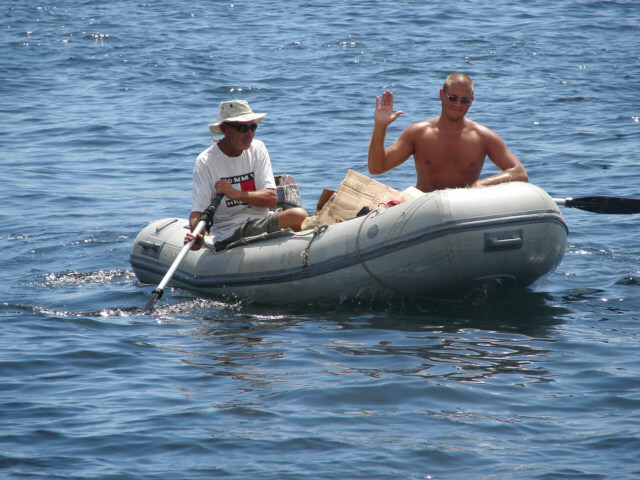 This is Craig and Captain Bill of the Odessa coming in from the boat; they have been paddling for about 100 meters. 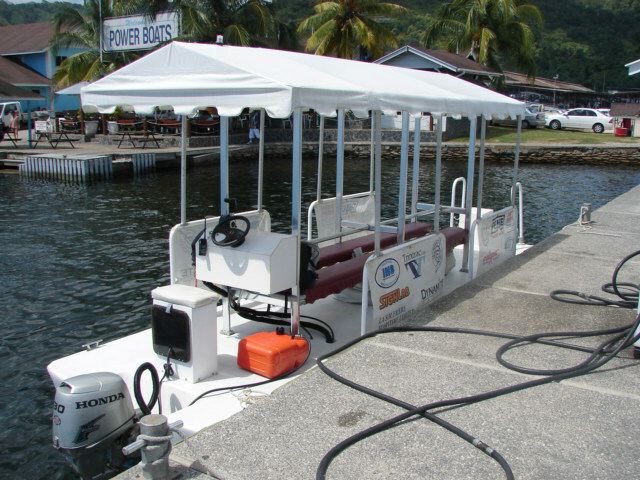 This is a taxi that cost 5 TT or about one dollars U.S. to go from docks or Chaguaramas in Port of Spain to another boat or dock in the Chaguaramas. A person is living on their boat, they come in for supplies, gas, diesel, parts to fix their boats, basically everything that you would want to do while in a hotel. What is maybe better than a hotel is they have all in one location you living needs and close to the boat. However, a problem is that, the harbor is not located in the city, when I live in a city I like to be close to the grocery, internet, transportation etc and most important, entertainment. This is Craig waving; he knows I am pulling his chain. Earlier in the day, he pulled the cord on the motor cord about 50 times because the dinghy motor was not working correct. I am waiting for him to come to the dock so Captain Bill can go with me to the Immigration office here in Port of Spain and remove me from his crew. He is using the second motor, the boat on a great point has two dinghies and two outboard motors, this is a great selling point to me if a person wanted crew. The owners of the boat has the say, he is the Captain and controls the crew in many ways, good and bad. However to live and enjoy life a person must have the ability to come and go in hotel, in a room, on a boat or to express their freedom. Sharing the boat or key to a room with you girlfriend or boyfriend, husband or wife is different than sharing a boat with a boy like Jakob, an 18 years old self-center, selfish person or the Captain who only comes into the shore to drink his dinner. Two dinghies is great, he wanted to get the one working so he could sell one and have some money. Both motors do not work, I assessed that he had been sailing or living on the hook for three years, this means the maintenance of one of the most used items is not working, not one, but two. This is way behind on maintenance, not just a little, a lot; maintenance is normal and a needed. 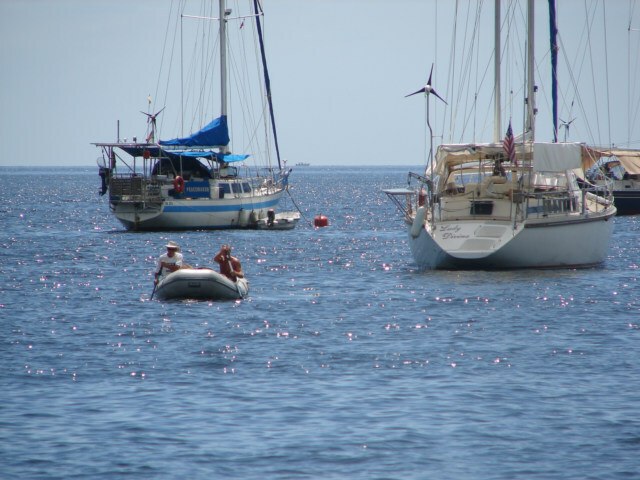 Common, something you plan on, however to not anticipate and plan for problems adequately can be very dangerous on a boat. I saw that Stephen a guy from Bulgaria seem to want some crew more for company and less for workers, while Bill was in need of persons to work. In reality he had plenty of crew, however never was organized enough to maintain the boats. Life is Good, I am off the boat, this is the Dinghy Docks, every Marina has a special area where you are supposed to leave you dinghy. One night in Charlottsville on the island of Tobago we was talking to a girl from Italy and a man from Holland that had sailed or crewed their way across the Atlantic Ocean. They was sitting on shore at 10:00 in a somewhat dodgy area, waiting or trying to figure out how to return to the boat. The boat they lived on only had one dinghy, the Captain of their boat had returned to the boat, and was suppose to come back and retrieve them, Charlottesville in Tobago is so small you can find anyone, there is only one place to dock you dinghy, the Captain just decided to let them hang. They were considering getting a room for the night, there was no taxi boat. I probably am aware of the corruptive nature of people, I see this so many times in the world as person who have some way of shutting off something, than I am at they mercy. The Captain Bill of the Odessa was this type of person, he was more than willing to remove our freedom to come and go from the boat. He was not capable to seeing that we need to share the boat, even though he is the owner of the boat, he must also share the boat fairly. Now on the other hand, there is not a fair bone in the body of the Euro-trash Jakob, he would take advantage of any position at any moment. There are two sides to the coin; however, this is essences of choosing a Captain or choosing crew. Do I wish to share my room, my key, my ability to come and go with the person, are they fair and just, will they try to take advantage. Living on the hook can be the Captain goes back to the boat, passes out from drinking his dinner and I am on the shore waiting for a way to get back to the boat as the night gets darker and life gets more dangerous. 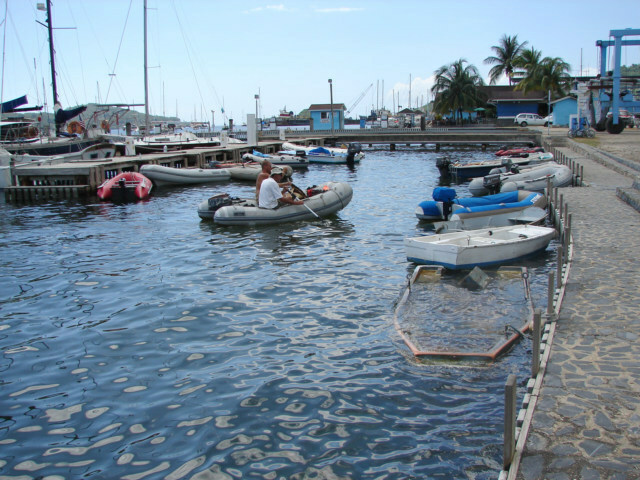 Living on the hook can be that Jakob would have taken the dinghy, he goes off to Port of Spain and we are out in the boat until the next day waiting for Jokob to return. I was accessing and do not trust the Captain or Jakob to be responsible. I can be Macho and take from them, I am bigger, stronger, and could easily take what I want, this is not my desire for the world, I have a choice. Life is meant to be enjoyed, the nature of exploitation is everywhere in the world. Exploitation can be calm, quiet, easy and friendly. A person can be stranded because the excuse is - I forgot - IF a person forgets, is irresponsible, has an accident too many times, then I upgrade it to they are mean and cruel.